In the Bekins Hall basement one balmy May afternoon, book designer Maureen Forys ’93 was giving a group of students from the Johnston Center for Integrative Studies a quiz. They were playing matchmaker, but with fonts instead of people, to see which ones would end up happily ever after. It was an entertaining experience, sure, but the May Term directed study had a serious goal: They were designing a commemorative art book for Johnston’s 50th anniversary. The Johnston Center for Integrative Studies was conceived in 1969, when a group of University of Redlands faculty, students, and staff co-created a living and learning community where students would be responsible for their own education. They design their own academic concentrations, write contracts for their courses, and receive narrative evaluations in lieu of traditional grades. So why another book on Johnston? “We want to document what we've done and honor it with a beautiful book full of artistic archives and creative stories,” says Maloney, a Johnston alumna and trained librarian, who, as the de facto Johnston archivist, is spearheading the creation of the commemorative book. 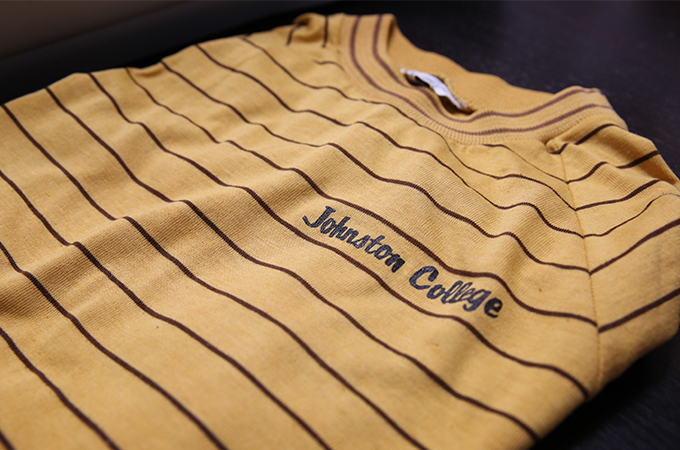 With the support of Johnston Director Julie Townsend, three sessions have been held at Johnston Center so that students, in adherence to its experiential learning philosophy, could help create the commemorative book. 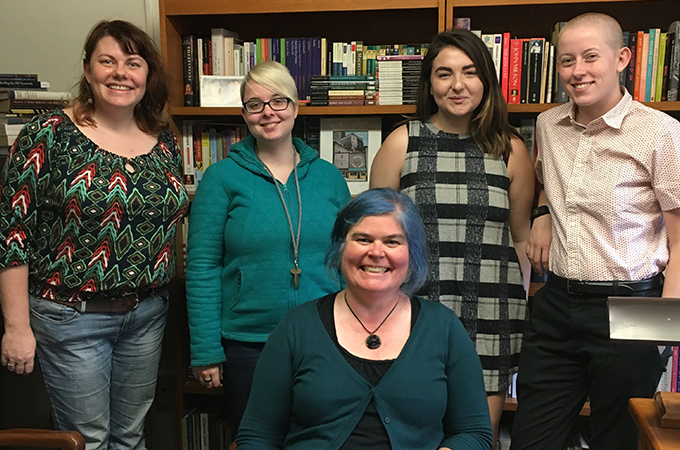 Maloney taught a 2017 seminar, Archiving the Experiment: Johnston Stories and Artifacts, where students studied feminist and queer archives. They also studied the practice of making oral histories and learned how to curate their own collections in the Johnston archive. Simultaneously, Creative Writing Professor Leslie Brody wrote a call for creative nonfiction short essay submissions to Johnston alumni. The volume of entries inspired a seminar called Content Development taught by Creative Writing Professor Alisa Slaughter. “We received high quality writing from many alumni who are professional writers, so the manuscript is really great,” Maloney says. Forys visited each of these classes to lend her book-making advice and expertise as well. Two editions of the commemorative book are in the works: a deluxe, clothbound edition with a foil stamp and a jacket, and a more affordable paperback edition. Currently untitled, the work will be published by an independent publisher based in Oakland, California, and available for purchase at Johnston’s 50th anniversary event, February 15-17, 2019.